The National Pest Management Association (NPMA) has selected its Executive Leadership Program (ELP) inaugural class of participants. Ten candidates from across the country will receive skills development and training for association leadership. Michael Bullert, president, Big Time Pest Control, Anderson, Calif.
David Flynn, operations manager, Burgess Pest Management, Bridgewater, Mass. Audrey Hall, president, Eco Serve Pest Services, West Seneca, N.Y.
Daniel Hill, service supervisor, Dugas Pest Control, Baton Rouge, La. Jeffrey King, president, The Pest Rangers, Hanover Township, Pa.
David Marshall, co-founder/president, Arizona Pest Squad, Tempe, Ariz.
Ashley Morrison, director of operations, City Wide Exterminating, Locust, N.C.
Bill Olesen, ACE, chief operating officer, Chuck Sullivan Exterminators, Olympia, Wash.
Emilio Polce, owner, EcoChoice Termite and Pest Control, Coventry, Conn.
Kyle Varona, general manager, Fahey Pest and Lawn Solutions, Sarasota, Fla.
During the two-year curriculum, candidates will participate in training sessions and courses designed to cultivate skills and knowledge essential to successful organizational leadership within NPMA and beyond. Training will encompass a comprehensive range of competencies, including the history of NPMA and its future plans, industry trends and consumer insights, inclusion and diversity training, executive etiquette, public policy and legislative issue navigation, and community engagement, along with a suite of skills related to strategic management and planning. 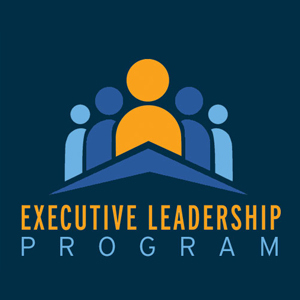 Applications for participation in ELP will be accepted on an ongoing annual basis. Visit NPMAPestWorld.org/about-npma/executive-leadership-program to learn more.